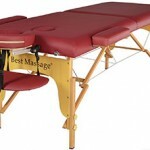 Here’s another table from BestMassage. 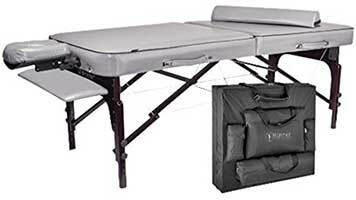 The BestMassage Two Fold Portable Massage Table (U1) looks strikingly similar to the Saloniture Professional Portable Folding Massage Table. This may just be the table that Saloniture seeks to compete with. At this time, the price of the U1 has since gone down to Saloniture’s price point. 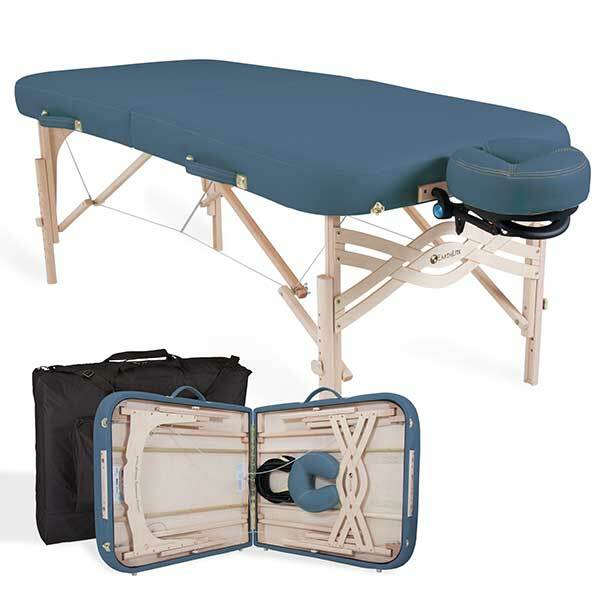 This folding massage table is made of birch hardwood and has a 450-pound working weight limit. Setting it up is easy since it is already assembled. Just unfold and use as intended. Like the U9, it also comes with lots of accessories which include a headrest, face pillow, armshelf, handrests and a carrying case. The most significant distinction between this and the U9 is the head section. The U9 has a reclining upper portion that can be raised up to a 90-degree angle while this one doesn’t. With the headrest included in the setup, the length extends up to 1 foot. Additionally, the armrests add about 9 inches to the width. 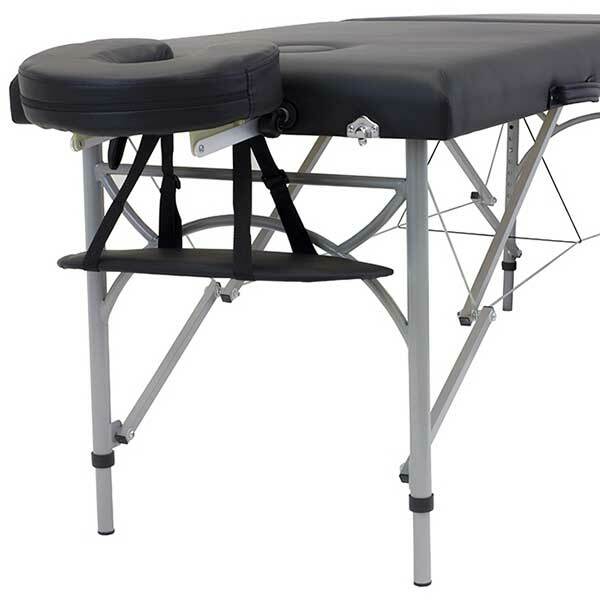 The adjustable headrest has an aluminum support, which is said to be prone to bending or warping. 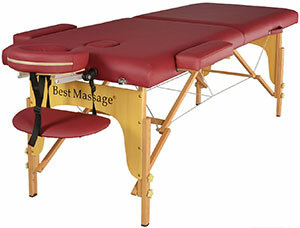 The BestMassage Two Fold Portable Massage Table (U1) is positioned towards students, home users and new practitioners. 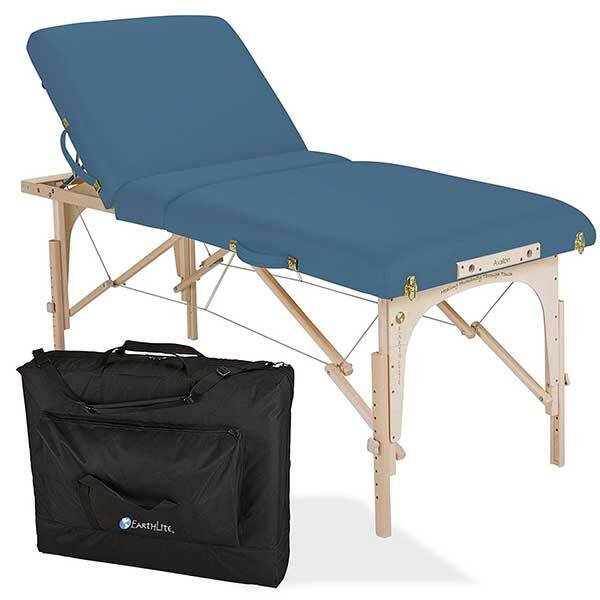 The U1 is the lowest priced table on our list and is ideal for those on a tight budget. As a professional, this table may disappoint you. If you’re looking for durability and reliability, there are certainly better tables out there that’s more suited towards the business side of things. But the U1’s strong point is its price. For hobbyists and novices, it’s tough to pass up on the price. If it lasts a couple of years, then it’s worth what was paid for. Anything more could well be deemed as a bonus. 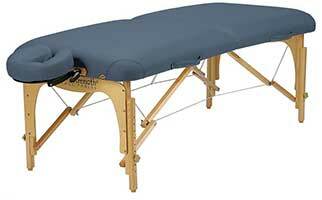 For Reiki use, this table can support heavier individuals since there is no pressure required from the practitioner. If the padding isn’t enough, there are fleece pads available that would add to the thickness. Adjusting the U1’s height takes a little bit of time (about two minutes). The legs are extended by using hand screws: 2 on each leg. It might not be an issue for most, but it does take a little bit of effort to set it up. Nonetheless, set up is easy to follow. One of the first components that will fail due to wear and tear is probably the table clips that lock the table when folded. They will either take a lot of effort to align with the lock or they won’t latch at all. 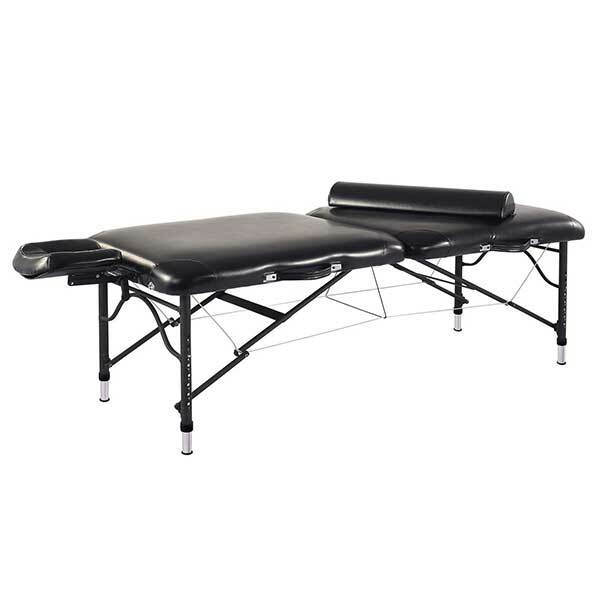 Overall, the U1 is currently the lowest-priced massage table that you can get. It’s great value for personal or home use, and it still does the job.